The printing industry has spent an enormous amount of time and effort trying to make the case that “print isn’t dead.” It’s understandable. The low perceived cost of digital advertising coupled with economic pressures caused lots of companies to move away from conventional print advertising during the Great Recession. Guess what? They’re coming back. (Print) grabs attention: Have you noticed how many fewer magazines and print newsletters you are getting in the mail these days? I don’t know about you, but I definitely pay more attention to my print mail. There’s just less mail, so more attention is paid to each piece. Opportunity? We’re not suggesting that you abandon your digital marketing efforts, but it’s important to realize that successful inbound marketing programs depend on a growing audience. Also, the competition for attention has increased substantially online while it’s declined in the mailbox. 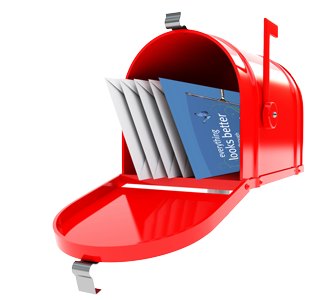 Direct Mail is an obvious starting point – It’s the place to begin your marketing program. Email marketing requires an opt-in list, websites have to be discovered, mass media is expensive and difficult to measure, but Direct Mail allows you to easily target the right message to the right audience and measure the response. Direct Mail is a natural audience builder – it gets attention and it’s a no-brainer to link direct mail to landing pages for more information and offers that create fans for your company. 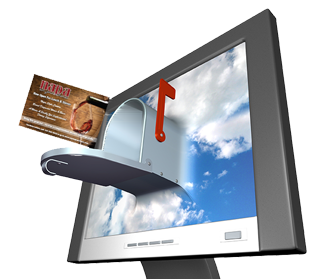 Direct mail integrates with online efforts – Consumers and businesspeople are flooded with information. It takes at least 7 impressions to begin to register recognition with a prospective purchaser. Direct mail works because it cuts through the static. If you’re still not convinced, we’ve put together a selection of interesting statistics from several recent studies about direct mail and other marketing channels. Sphinx Business Solutions can help your business or organization with strategies for incorporating direct mail into your marketing program and combining mail with online channels to build your audience and increase sales.